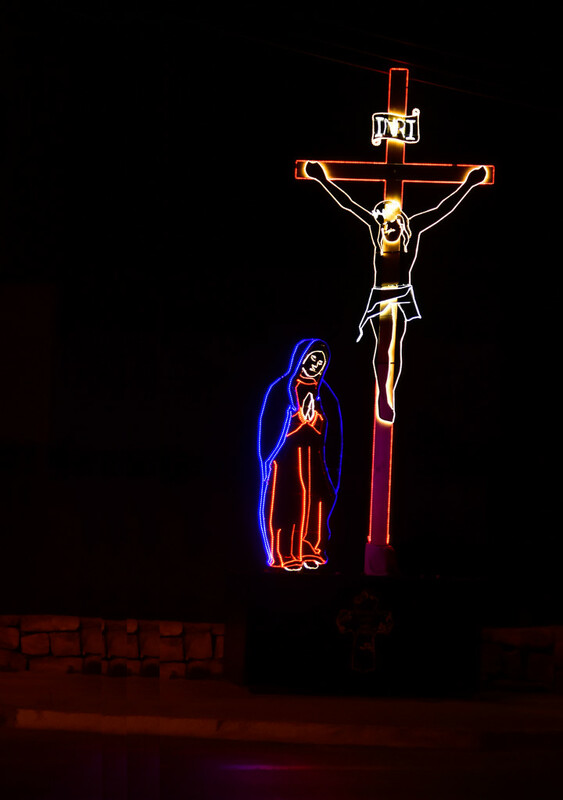 This effigy made of wrought iron surrounded by lights was set up in front of the San Ġwann parish church – where I live. When I saw it last week-end I said to myself, this would be a fabulous post for Good Friday so I went over with my camera to a shot of it. Many thanks for your views, comments, and fav’s. They are very much appreciated. It is a wonderful capture, especially for now.